Microsoft unveiled the next major update to Windows Phone during a special Windows Phone Summit in late June, but so far the company has refused to say when devices will hit the market aside from "this fall." That said, according to rumors first reported by Chinese site WPDang and backed up today by Bloomberg, Nokia plans to announce Windows Phone 8 handsets as early as next month at its Nokia World event. Nokia World 2012 will kick off in Helsinki roughly a month form now on the 5th and 6th of September, a week ahead of the rumored September 12 announcement of the next iPhone. The early unveiling may help it gain some mindshare among consumers in the run-up to the holiday shopping season, although actual Windows Phone 8 handsets may not hit shelves until sometime around November. For reference, if the latest rumors surrounding the iPhone launch are accurate, Apple could have new hardware ready for consumers as early as September 21, nine days after the unveiling. The Finnish company held the spot as the world’s leading mobile phone maker for fourteen straight years but was overtaken by Samsung earlier in 2012, according to research firm Gartner. Despite favorable reviews, the Lumia handsets have struggled to compete against established platforms such as Android and iOS. The fact that its flagship Lumia 900, launched just a few months ago, will not get the upgrade to Windows Phone 8 later this year has done little to help. 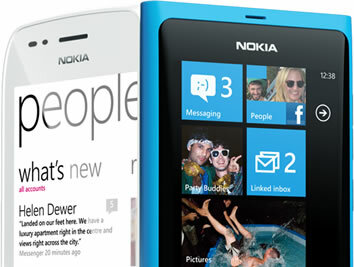 Nokia plans to rollout a Windows Phone 7.8 update that will bring some of Windows Phone 8’s changes to existing devices. The decision was nevertheless received with optimism by some users who feel it is necessary to leave previous generation handsets behind in order for the platform to advance. Among other things, WP 8 will finally support multi-core processors and share common code with the Windows 8 desktop OS.